Below is a flowchart demonstrating the application process and the way we provide services. 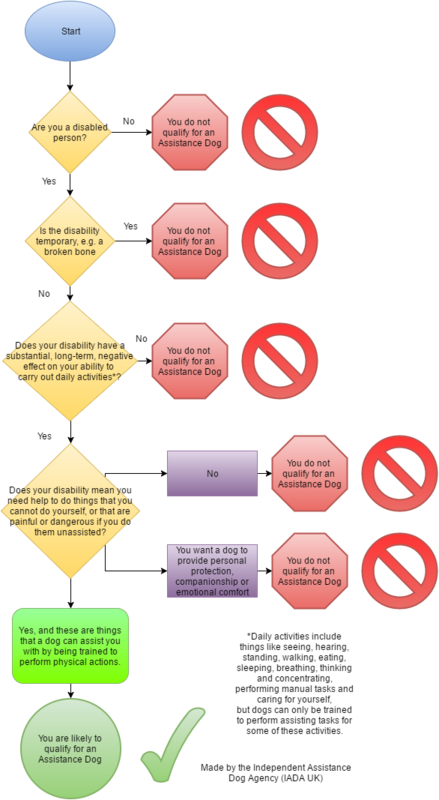 Below is a flowchart to assess your eligibility for an Assistance Dog. Please read it before applying. We are currently only able to serve clients within the county of Hampshire.